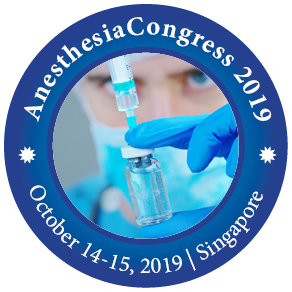 With a great pleasure Conference Series llc LTD welcomes world’s top surgeons, Top Neurosurgeons, Internists, hospitalists, family physicians, surgeons, NPs, PAs, anesthesiologists and nurse anesthetists to 12th World Congress on Anesthesiology and Critical Care to be held in Singapore on October 14-15, 2019. Anesthesia Congress 2019 will be framed with an outstanding gallery of speakers from all over the world will participate and share with us the most significant advances. With the theme “Exploring the new heights of excellence in Anesthesia and Critical Care” this year the conference will have its main focus on topics such as Dental Anesthesia, Perioperative medicine, Spinal Anesthesia and more. The field of Anesthesiology and Critical Care are changing and the roles around the world are shifting. No longer is the Anesthesiologist bound to the operating room. Anesthesiologists are at the core of the modern hospital – and beyond. 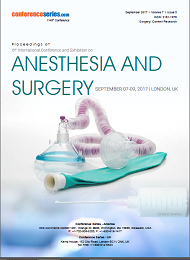 For additional Information on the conference download our conference brochure at Anesthesia Congress 2019 Brochure Download. This conference offers the unique opportunity for commercial companies to interact with health care providers and highlight their products and services. 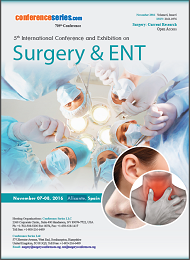 If you are interested in exhibiting at this course, for exhibitor booth booking contact us at anesthesia@conferencesseries.org. 10th International Congress on Surgery May 22-23, 2019 Tokyo, Japan; World Congress on Surgeons November 22-23, 2018 Bucharest, Romania; 8th Edition of International Conference and Exhibition on Surgery and Transplantation July 1-3, 2019, Valencia, Spain; 24th International Conference on Neurosurgery and Neuroscience March 18-20, 2019 Edinburgh, Scotland; 7th International Conference and Exhibition on Pain Research and Management October 11-12, 2018 Zurich, Switzerland; 5th International Conference on Pain Medicine and Pain Management October 17-18, 2018 New York, USA; 6th World Summit on Trauma, Critical Care and Reconstructive Surgery August 14-15, 2019 Tokyo, Japan; 5th Annual Congress and Medicare Expo on Trauma & Critical Care March 05-06, 2019 Amsterdam| Netherlands; 4th International Conference on Anesthesia July 01-02, 2019 Valencia, Spain; World Physicians and Medical Practitioners Summit February 25-26, 2019 Seoul, South Korea; 11th International Conference on Anesthesiology and Critical Care November 15-16, 2018 Dubai, UAE. To prevent the pain during dental procedures is the critical part for which dental professionals have been using variety of methods, from herbal remedies to local anesthetics and nitrous oxide to create a comfortable environment for the patient. Lidocaine on of the most common local anesthetic which is used by doctors most of the times. Anesthesia which is used more in dentistry are: General Anesthesia and Local Anesthesia. Each will have their own different purpose. Local Anesthesia used in dentistry are classified into two Topical Local Anesthesia and Injectable Local Anesthesia. Surgical tooth extractions which usually requires longer time for the anesthesia to work requires General anesthesia where the anesthesia will have a longer time of action. Medical care of the patients from the start to the end of the surgery is the focus of the perioperative medicine. Perioperative Medicine is a newly emerging field of medicine which will do the optimization of the patient’s health who are or planning to undergo a surgery. Perioperative medicine focuses on the following few topics Patient Care, Patient Education, Research. Patient Care creates an individualized “Risk Assessment” plan based on the patient’s condition and health issues. 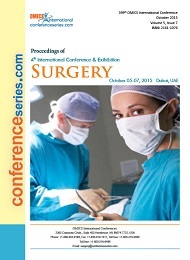 Patient Education will focus on the how to develop the patient adapt the situation during and after the surgery. Spinal anesthesia technique also described as a technique of 4 P’s, Preparation, Position, Projection and Puncture. Spinal Anesthesia a type of neuraxial anesthesia which is injected into the cerebrospinal fluid (CSF) to anesthetize the nerves that exit the spinal cord. Some common Local anesthesia used includes: Bupivacaine hydrochloride used to stabilize neuronal membrane and prevents the initiation and transmission of nerve impulses. Ropivacaine hydrochloride which is used to give both an aesthetic and analgesic effects. Spinal anesthesia is but the complication arises based on the techniques, which results in systemic toxicity.